Cedar Mesa 3-Person Tent With Fly 7 ft x 7 ft x 54 in. | BUDK.com - Knives & Swords At The Lowest Prices! Cedar Mesa 3-Person Tent With Fly 7 ft x 7 ft x 54 in. The oversized Cedar Mesa three-person camp tent features two large doors with zippered mesh windows and a bathtub-style floor with a 2500mm P.U. coating and taped seams. 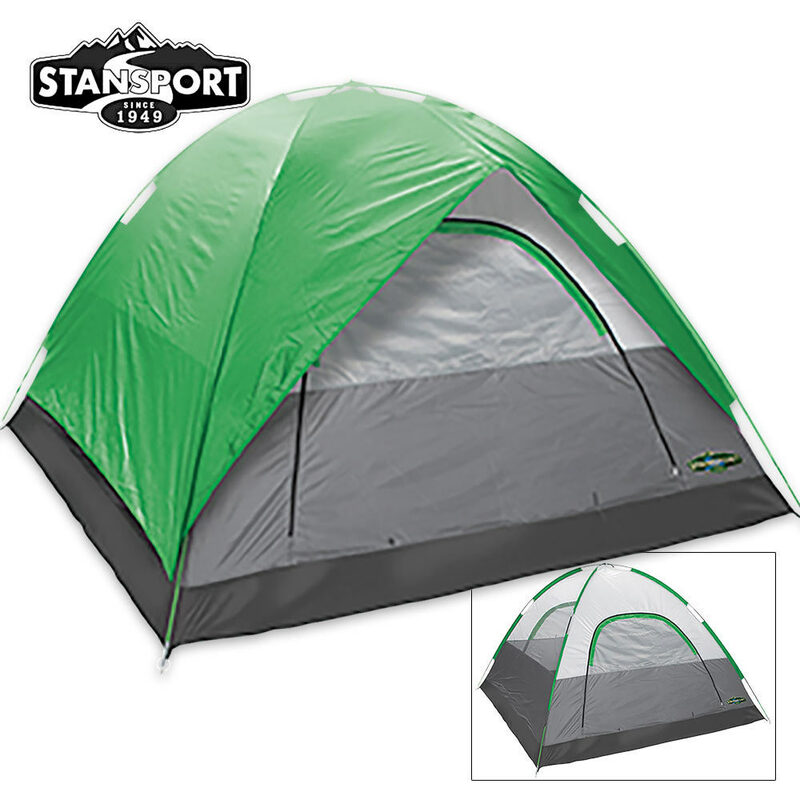 Large mesh panels allow for maximum ventilation, and the full rainfly features sealed seams to keep the elements out. Two mesh interior gear pockets and an accessory hanger provide adequate storage and organization.